Sponsorships help us to fund Museum Week and our other community events. 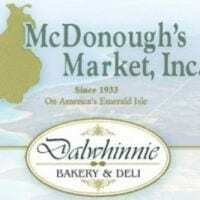 Below is a list and links of participating businesses. Museum Week 2019 #39 will be July 14- 20. Programming details will be shared soon. Whiskey Point CMU Boathouse: Scientific Cruise on the M.V. Chippewa. 1 & 3 p.m. Seats are still available for the 3 o'clock cruise. Register at the Print Shop. $25.00 per person. Cruises limited to 9 people. We will be serving Hotdogs and Chips. The public is encouraged to bring a dish to pass, beverage of choice and personal chairs. We will have a short talk, music, and old-fashioned games. Come and show your support, "This Place Matters." Note: Please drop off items to be appraised Wednesday evening Antiques Appraisal Show at the Community Center between 12-3 today! A receipt will be issued and items will be securely stored overnight for research and returned after the show on Wednesday evening. The registration is limited to two items per family, $10 for the first item, $5 for the second item. Whiskey Point: 11:30-1 “Picnic at the Point” Week 4, Native Water Ceremony performed by Theresa Keshick & JD Gibson and talk about the Beaver Island USCG History with Frank Hacket. Beaver Island Community School: State of the School Address and Ice Cream Social 4:30-6 p.m. BICS Superintendent Wil Cwikiel will give a School address with fun past and present school facts. 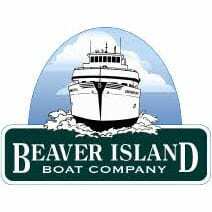 In the evening check out the Beaver Island Music Festival! Jewell Gillespie Beach: 11- 2 Water Carnival: Paper Boatbuilding with a shoreline race, face painting, vintage bike show and bike decorating, and children's bike parade, along with entertainment from Clark the Juggler. BI Community Center: 7- 9 L.J. Denemy will give a presentation titled, NIIBI MIINWA ANAANGONSOK (WATER AND STARS). L.J. Denemy is the Title VI Indian Education Coordinator for the Charlevoix Public Schools. His presentation will share general knowledge about the Anishinaabe culture with stories about his Beaver Island heritage. Holy Cross Hall: Bingo returns! 7 -9 The doors will open at 6:40 and games begin promptly at 7 p.m. Whiskey Point CMU Boathouse: Scientific Cruise on the M.V. Chippewa. 1 & 3 p.m. SEATS ARE STILL AVAILABLE for both cruises. Register at the Print Shop. $25.00 per person. Cruises limited to 9 people.